They say the eyes are the window to the soul and this post is proof of that. Courage – Left for dead after her Taliban father sold her into marriage, and even returned her to her husband after severe abuse and the removal of her nose and ears. 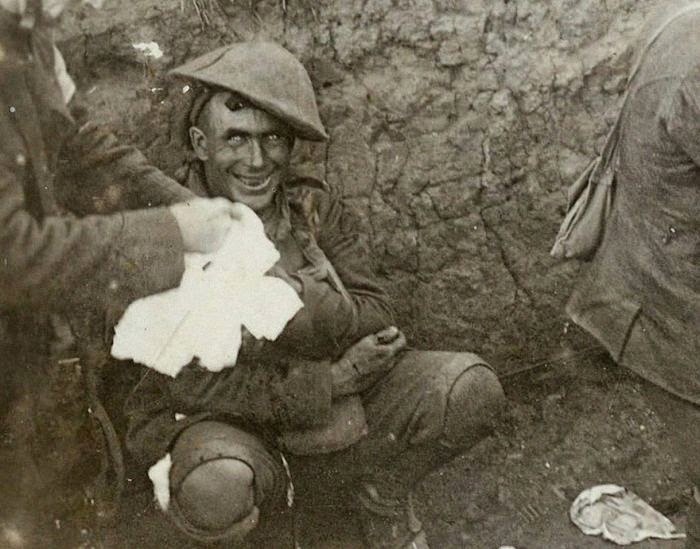 Madness – A Shell Shocked soldier in a trench during the Battle of Courcelette in mid-September 1916. 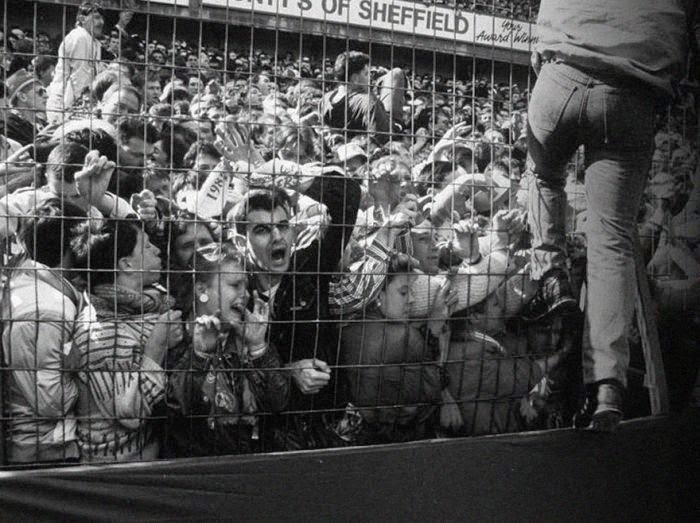 Panic – A crushing loss in a 1986 soccer match in England resulted in the deaths of 96 people and injuries to 766 others. 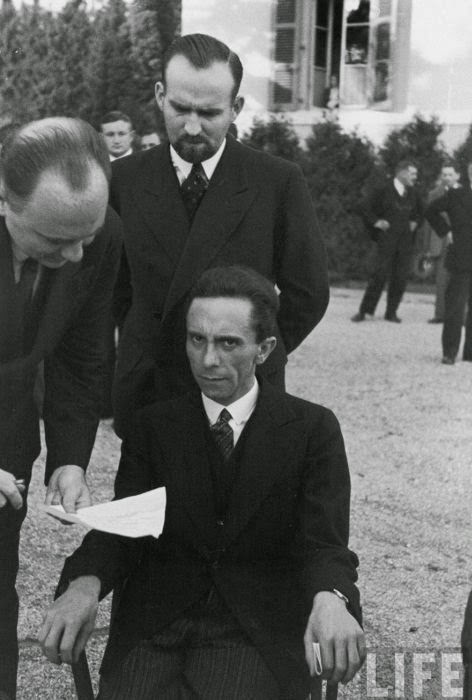 Hatred – Goebbels smiled at him until he learned that Eisenstaedt was Jewish – a moment Eisenstaedt captured in this photo. 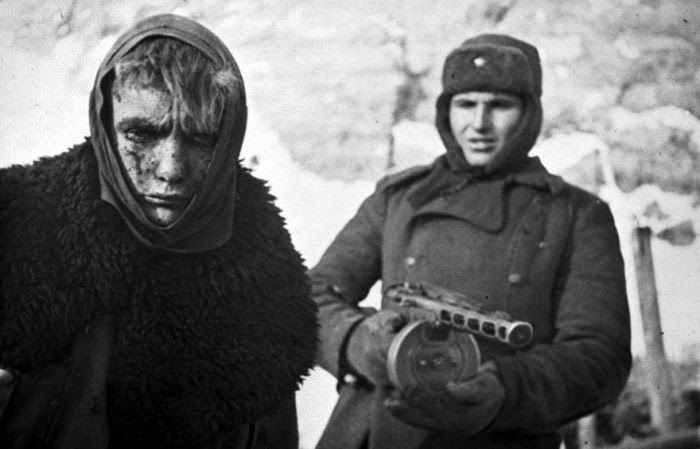 Defeat – Red Army soldier marches a German soldier into captivity after the Battle of Stalingrad. 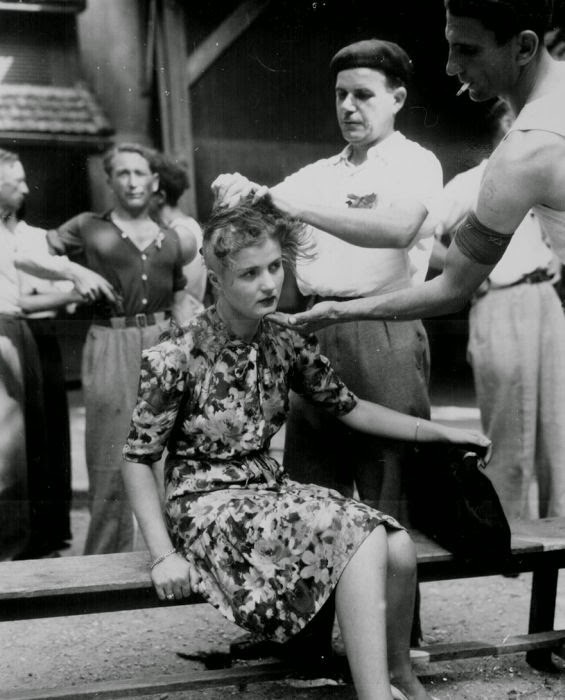 Shame – After WWII, French women who “consorted” with German soliders weren’t put to death, but shunned instead. 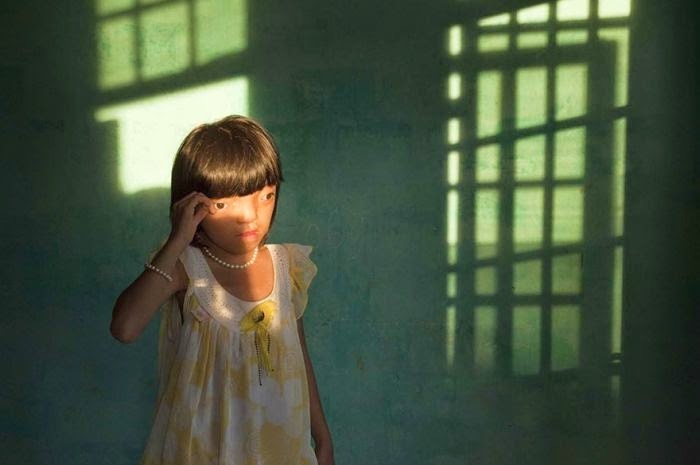 Suffering – Nguyen Thi Ly, 9, suffers from Agent Orange disabilities. During the Vietnam War, the U.S. military sprayed some 12 million gallons of Agent Orange herbicide over Vietnam. 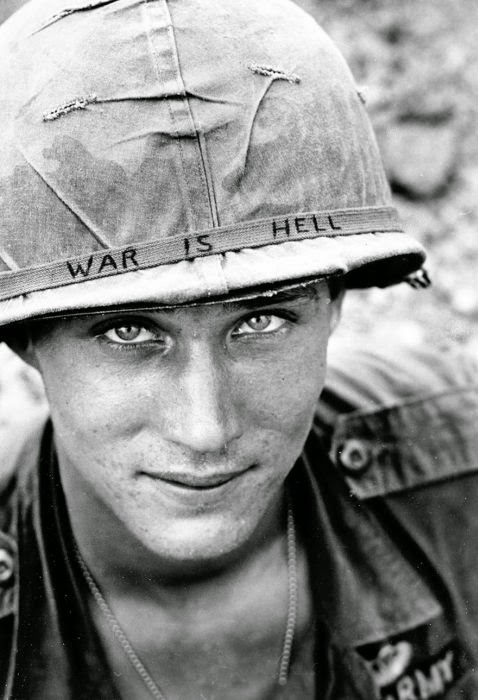 Peace – The soldier in the photo is unknown but he is with the 173rd Airborne Brigade Battalion on defense duty at Phuc Vinh airstrip in South Vietnam. 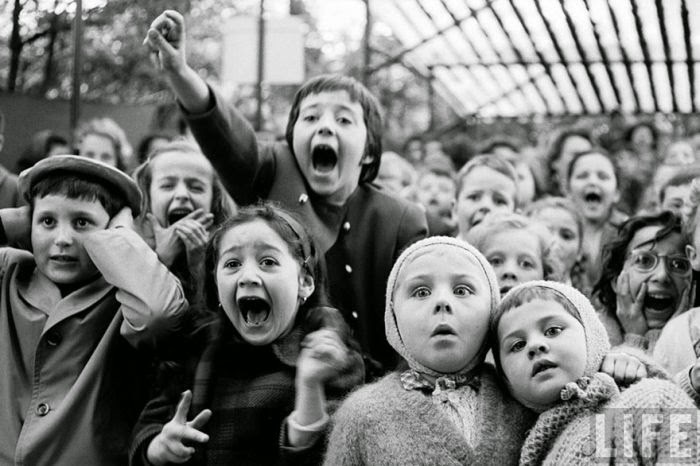 Awe – Children here love puppet shows, even in 1963 Paris. I wonder if Miss Piggy is there? 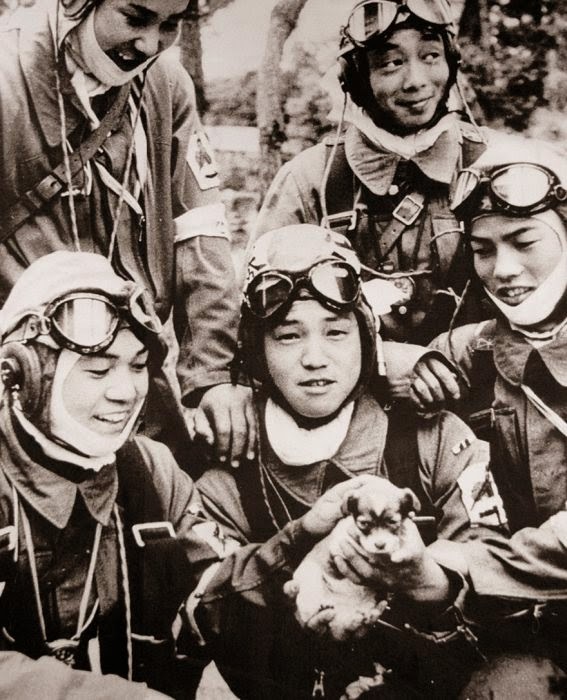 Deception – An Asahi Shimbun cameraman took this photo on the day before the departure of the 72nd Shinbu Corps from Bansei Air Base for their Kamikaze (Divine Wind) mission in Okinawa. 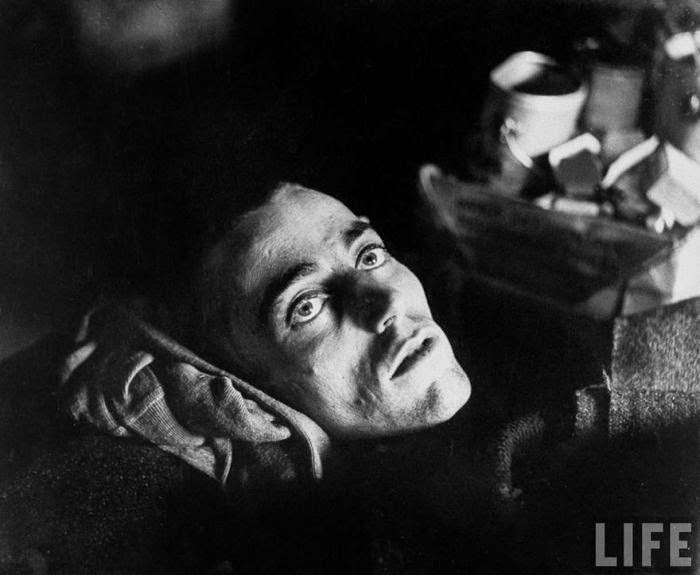 Fatigue – Check out this emaciated American war prisoner as he lies on a cot after his liberation from German prison camp by Allied forces. 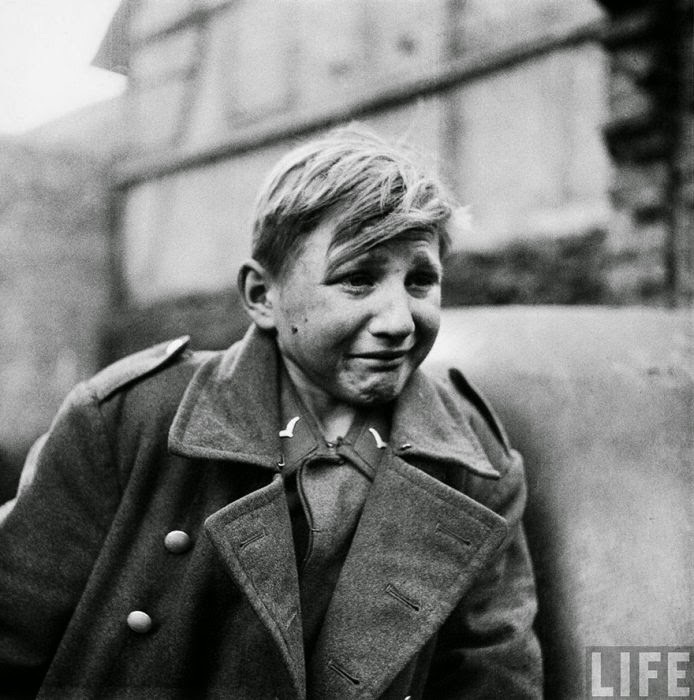 Fear – A 15 year old German soldier, Hans-Georg Henke, cries after being captured by the US 9th Army in Rechtenbach, Germany, on April 3, 1945. 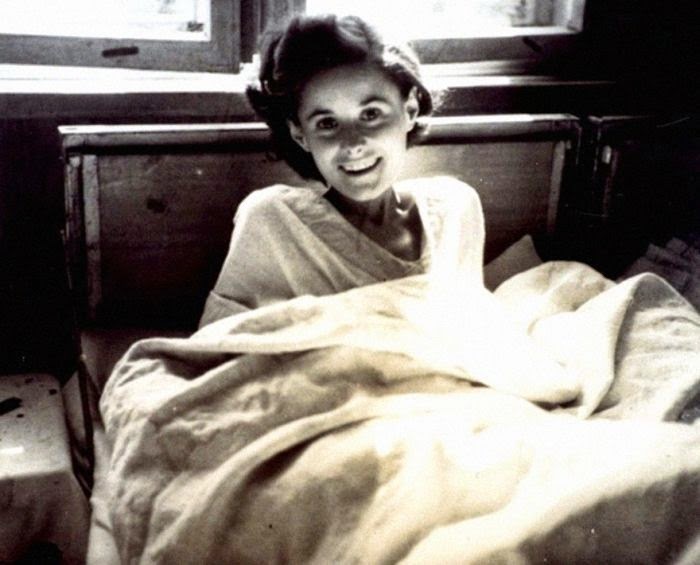 Joy – She was liberated from imprisonment in 1945. 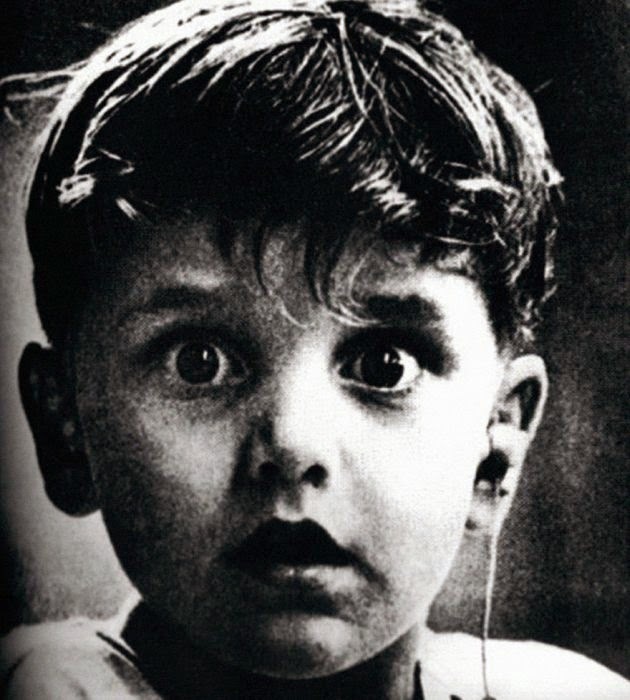 Innocence – This photo is real. 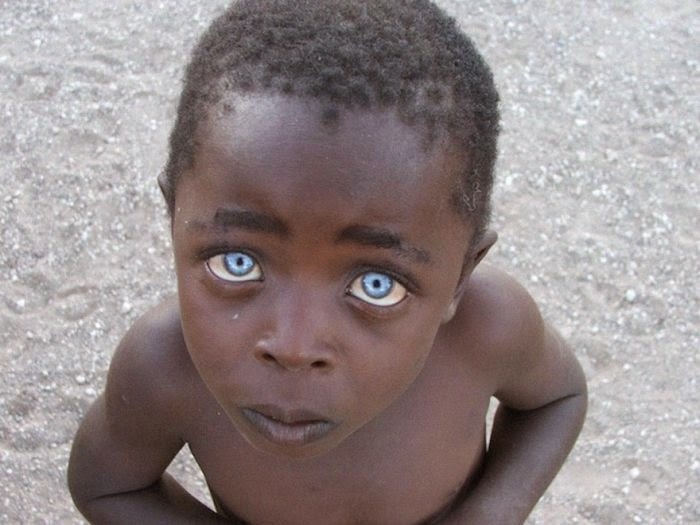 The blue eyes and dark skin probably represents Ocular Albinism or Juvenile uveitis. Both conditions cause the pigment of the iris to be less dense. 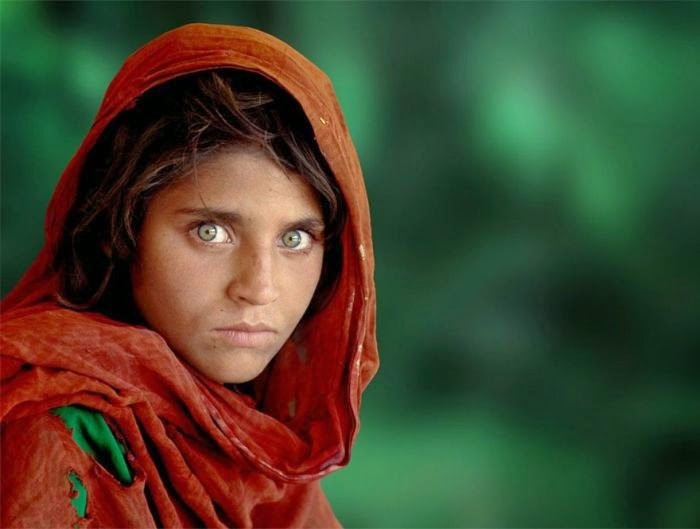 Caution – Sharbat Gula was orphaned during the Soviet Union’s bombing of Afghanistan and sent to the Nasir Bagh refugee camp in Pakistan in 1984. 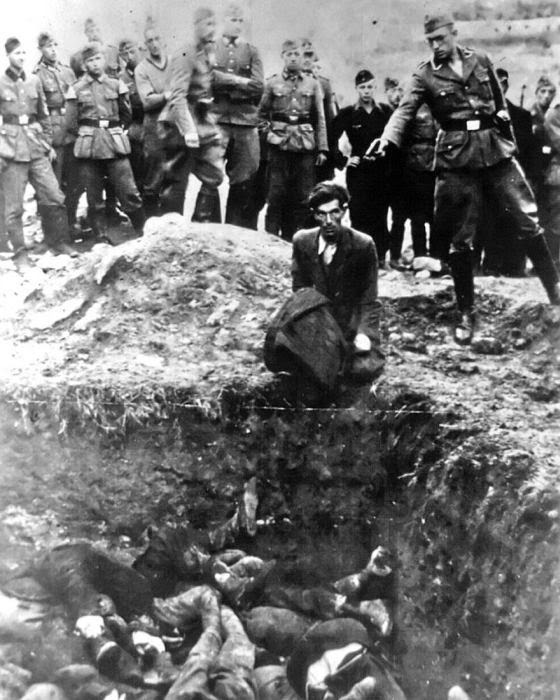 Acceptance – All 28,000 Jews from Vinnitsa and its surrounding areas were massacred, with this man being the last one before being buried in the mass grave. 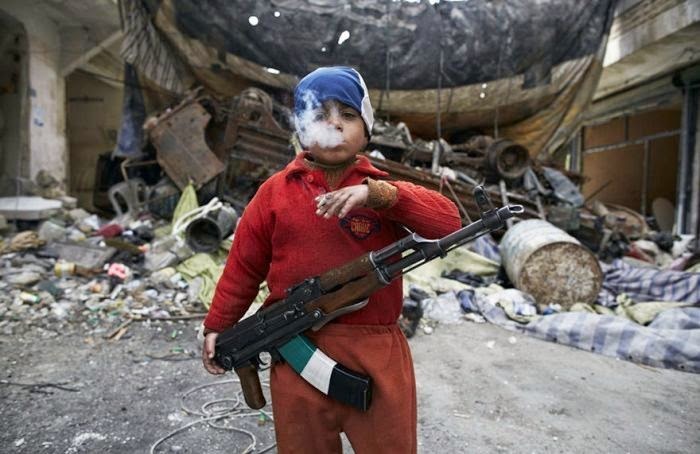 Lost Innocence – He’s an 8 year old Syrian rebel. Seriously. 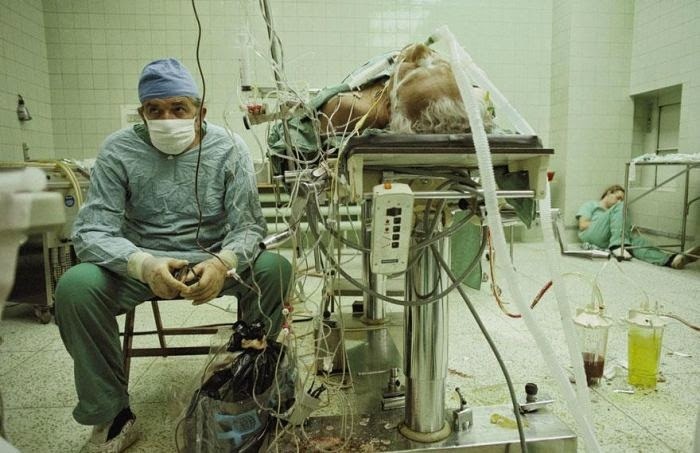 Relief – Heart surgeon after 23-hour-long (successful) heart transplant. His assistant is sleeping in the corner. 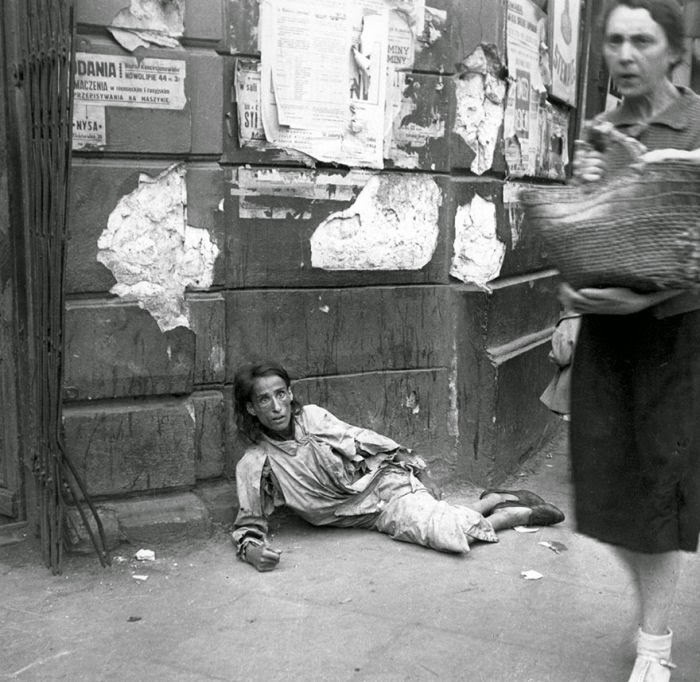 Despair – This woman was starving to death on the streets of the Warsaw ghetto.